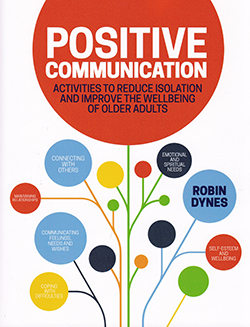 This book provides activity organisers with a range of tools and ideas to use with older people to boost their confidence, self-esteem, life skills and wellbeing. These activities are wide-ranging and include simple health promotion messages such as the benefits of staying active, plus activities that encourage individuals to maintain spiritual awareness, connect with nature and reminisce. Each activity is easy to follow, with activity handouts that can be photocopied. The activities could be used in day centres and clubs, while some might be useful in hospitals and care homes. Any healthcare provider could deliver the suggested activities. While some of them are quite straightforward, others might provoke strong emotions in the participants. These potentially emotionally challenging activities may need to be led by an experienced person who can facilitate a worthwhile therapeutic session safely.